Home » FREEBIES » FREE – SO EASY – $3.00 Walmart Gift Card ! LADIES – FREEBIE Squad ! This is so easy I don’t know why everyone isn’t talking about. I mean like SOOO EASY! 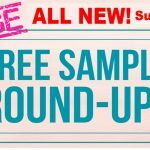 ALL NEW - Free Sample ROUND-Up = 100's OF FREEBIES!